World-renowned composer/conductor Tan Dun has had the honor of composing film music for three films by critically acclaimed directors: Ang Lee (Crouching Tiger, Hidden Dragon), Zhang Yimou (Hero), and Feng Xiaogang (The Banquet). Combining the ancient tradition of Chinese martial arts philosophy and visual arts, the films were all received with high praise worldwide. As the ‘Cultural Ambassador to the World’ for the World Expo 2010 Shanghai, Tan Dun will conduct two concerts to premiere his Concerto Grosso: Martial Arts Trilogy on August 8th at the Expo Performance Center, and on August 9th at the Shanghai Grand Theater. The Martial Arts Trilogy, performed by famous young musicians under the baton of Tan Dun, will combine orchestra and multimedia to rediscover the spirit of Chinese martial arts. The work consists of three concertos: Crouching Tiger Concerto for Cello and double Erhu, Hero Concerto for Violin and Guqin, and Banquet Concerto for Piano and chorus. Tomorrow in Wellington, Oscar-winning composer Tan Dun conducts music from three martial-arts movies that brought him worldwide acclaim. He talks to Tom Cardy.Chinese composer and conductor Tan Dun occupies a rare position in classical music. He straddles the mainstream and avant-garde, the Orient and the Occidental, and is followed by people who normally don’t attend classical concerts.The reason for Tan’s broad appeal is his music for three acclaimed martial arts movies: Ang Lee’s Crouching Tiger, Hidden Dragon, which won Tan an Oscar, The Banquet and Hero. Speaking from Shanghai, the 55-year-old says he hopes his concert in Wellington tomorrow with the New Zealand Symphony Orchestra will entice the classical shy, especially young people. His Martial Arts Trilogy features excerpts from his music from the three movies, which he will conduct while excerpts from the films play on a big screen. Tan was born in a small village in central China and early in his career worked as a fiddle player and arranger for a Peking opera troupe. He sees similarities between opera and cinema and has always felt comfortable composing music for films, as it reflects his preferences. Tan explains that the literal translation of the Chinese description for film is “electric shadow show”, which he feels is as much an apt description of seeing martial arts on film. While the excerpts from the three films are shown, Tan says his attention will occasionally switch from looking at the NZSO, to watching the scenes on screen. 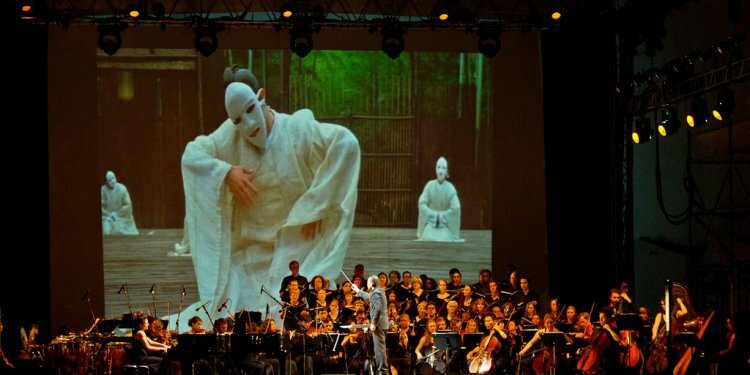 Composing music for films depicting martial arts is a natural fit for the composer, whose opera, Tea: A Mirror of Soul, was performed in the 2006 New Zealand International Arts Festival. Tan says martial arts and music are intrinsically linked. “In the ancient Chinese intellectual world, the training for music and the training for the martial arts, the training for calligraphy and philosophy, these four aspects are often related. The definition of the ancient traditional Chinese intellectual is someone who is very philosophical, very musical and very martial arts oriented. That link continued between martial arts and Peking opera, when it blossomed in the 19th century, ” he says. Tan has had strong links with New Zealand and the NZSO for many years. In 1988, when he was 30, Tan spent seven weeks in New Zealand as the first recipient of a new Victoria University composer’s fellowship. In 2004, he conducted his works, Concerto for Water Percussion and The Map: Concerto for Cello, Video and Orchestra, with the NZSO as part of the International Arts Festival. The NZSO also performed his symphony, Death and Fire. Tan’s Martial Arts Trilogy will include three soloists, violinist Ryu Goto, pianist Yingdi Sun and Tan Wei on Chinese violin erhu. Tan sees his relationship with the NZSO and working with fellow Chinese musicians as part of his philosophy about music today.